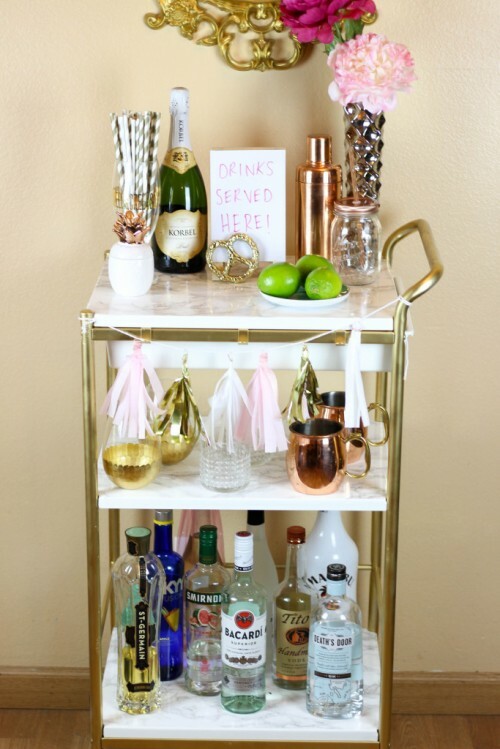 Remember we told you of IKEA bar cart hacks? 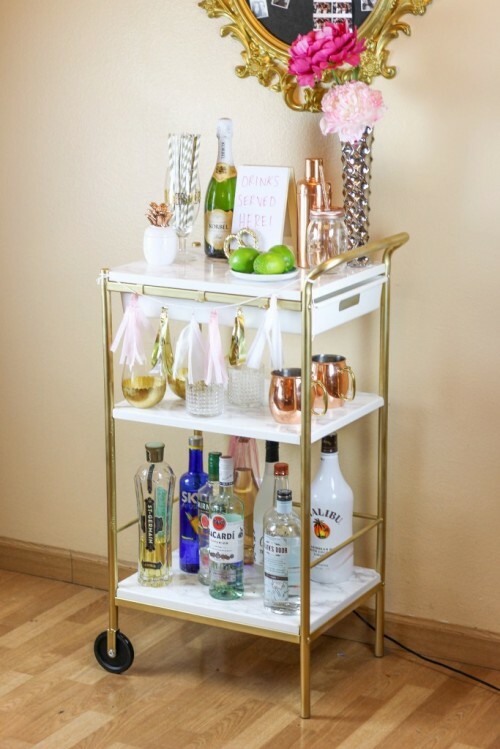 Here’s a detailed tutorial how to do that, prepare IKEA BYGEL Utility Cart, Rust-Oleum White Primer General Purpose Spray Paint, Rust-Oleum Metallic Gold Spray Paint, Grey Marble Contact Paper, scissors, an X-aCTO knife. 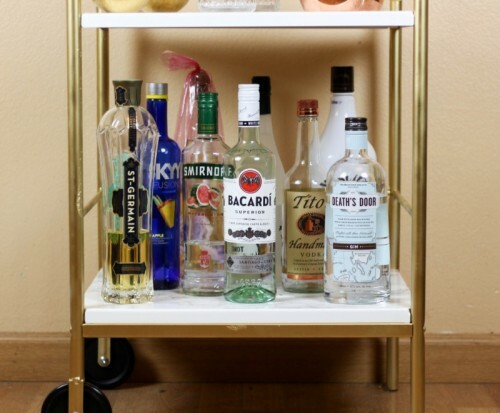 Put the BYGEL cart together WITHOUT the wheels or shelves. Prime and paint the cart. Do one coat of primer, wait 25 hours, then do one coat of paint, wait about 4 hours and touch it up. 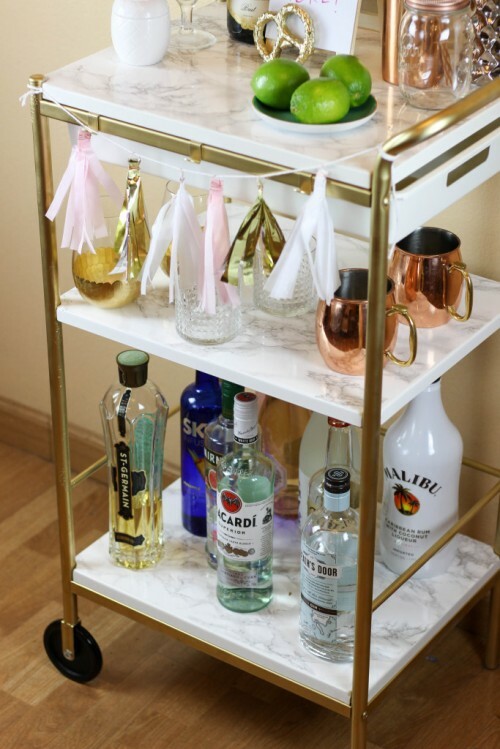 Add the contact paper onto the top of all three white shelves. Cut the traced portion out with scissors. 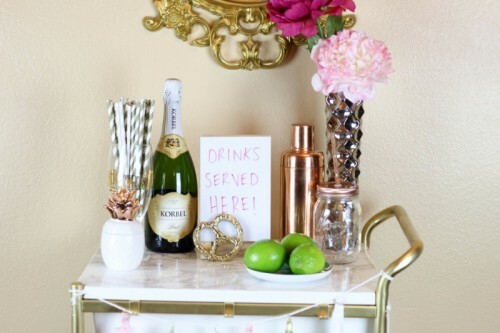 Start on one end of the tray and peel back the paper, smoothing out the bubbles as you go. Keep reading the tutorial at twinspiration.co.